Mindomo is licensed by the Ontario Ministry of Education. Sign up using your board email address. Video tutorials on using Mindomo can be found at their channel on YouTube. Mindomo can be used on mobile devices using a browser or a native app. These instructions assume you are using it in a browser. The first set of instructions are for students to use once they have been given a link to a public map. 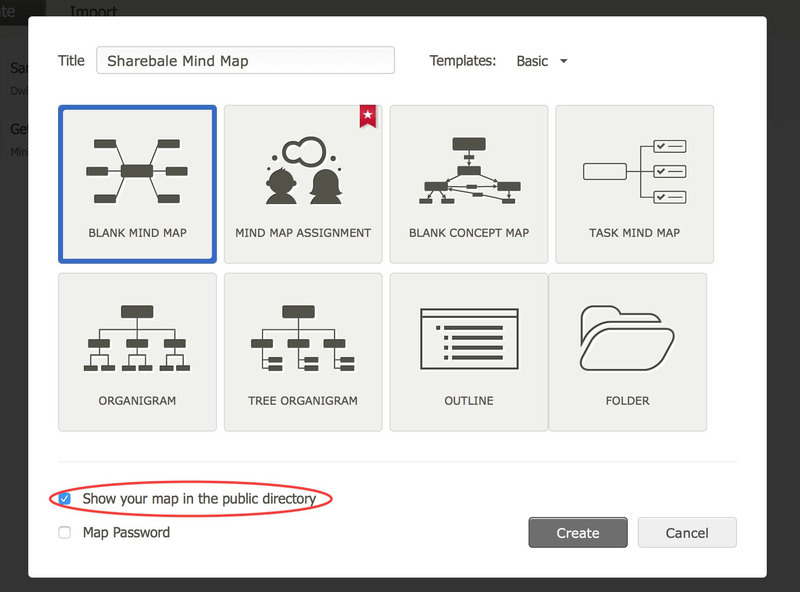 Instructions for how to create a public map follow. Click the down arrow at the top right of a topic and choose Floating Topic to get an unlinked topic. Click on the map to place the topic. With the new topic selected, click the mountain icon. Click the paper clip icon. Select the image and wait for it to be loaded. Login with your Board or Teltgafe credentials - click next to No Account Yet? if you don't have such a login. Supply a Title, template, and decide whether to include in the public directory or add a password. The map should open with one topic. Click the Share button at the top right. Click Allow guest editing. This option is not available for a non-licensed user of Mindomo. click Change at the top right. Notice that you can add a password. 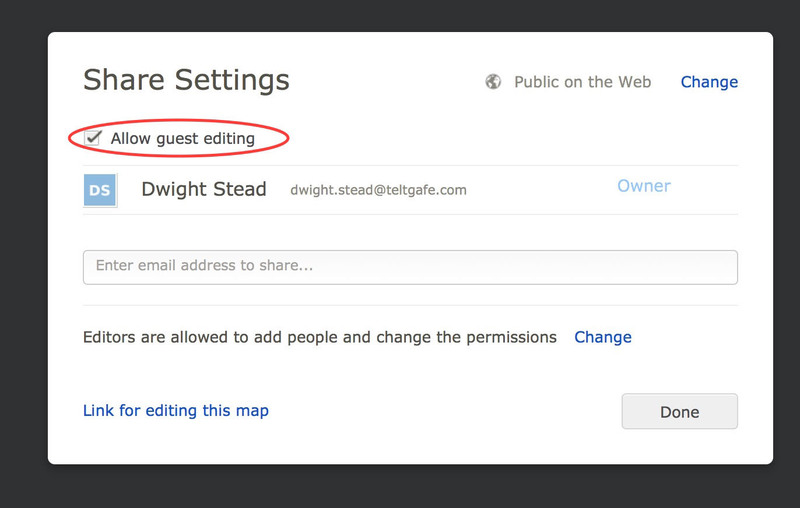 Click "Link for editing this map" at the bottom left of the Share Settings Dialog. Copy the link and share it with your collaborators. You may wish to use a service like tinyurl.com to shorten it. Paste the link in the top text box. Choose a nice short URL and type it in the second box. Give the short version to your collaborators. Now students can use the link and can follow the directions above to upload images to the map.